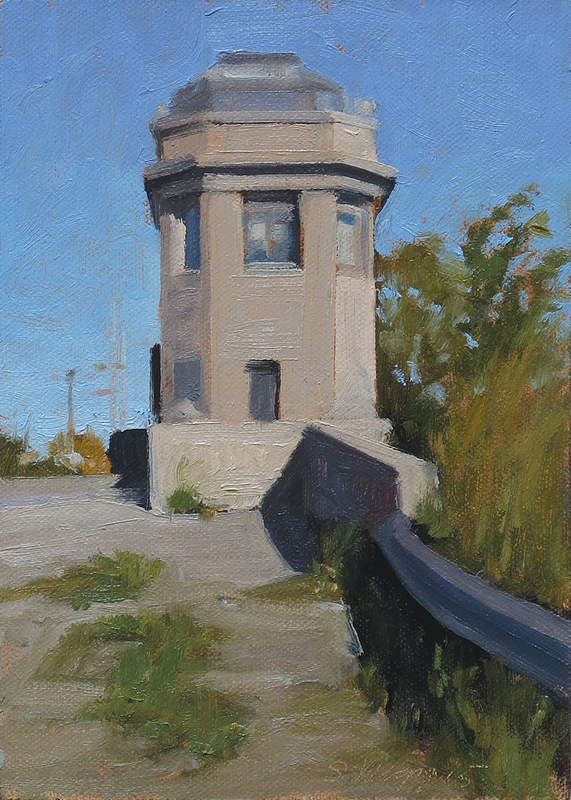 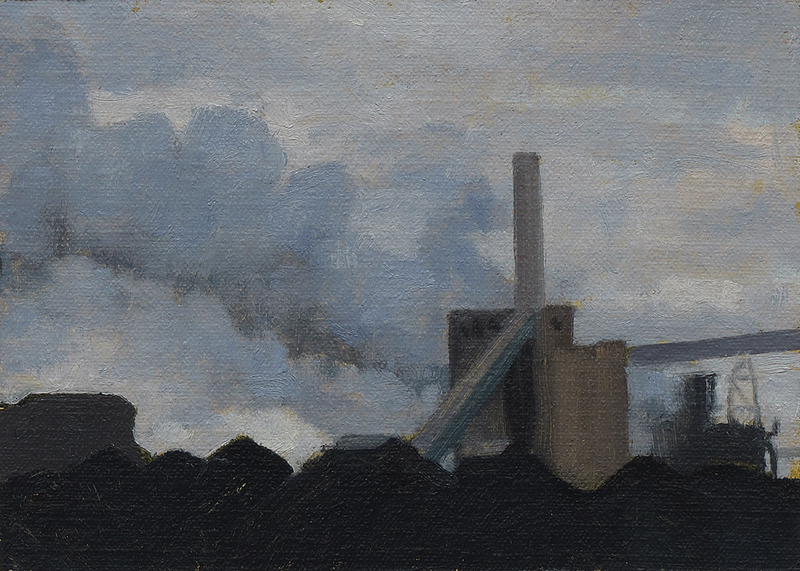 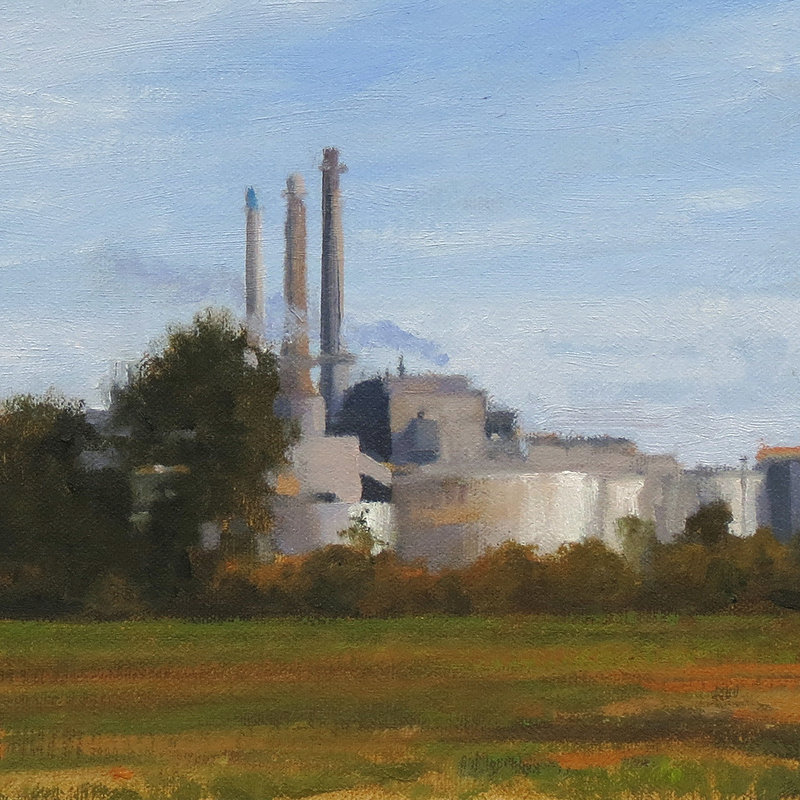 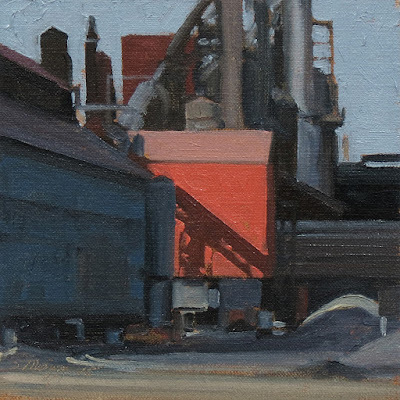 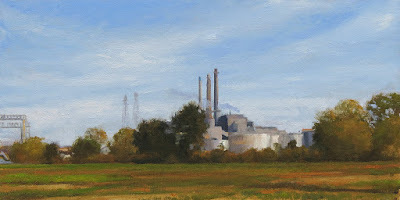 This industrial landscape painting is a view of the Rouge plant from the Dix Ave bridge. 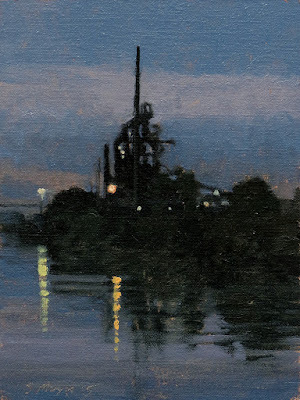 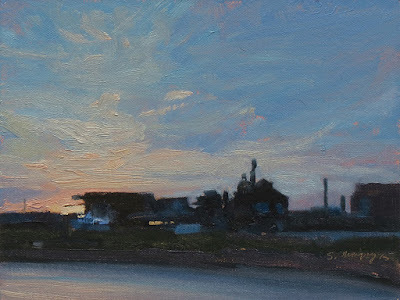 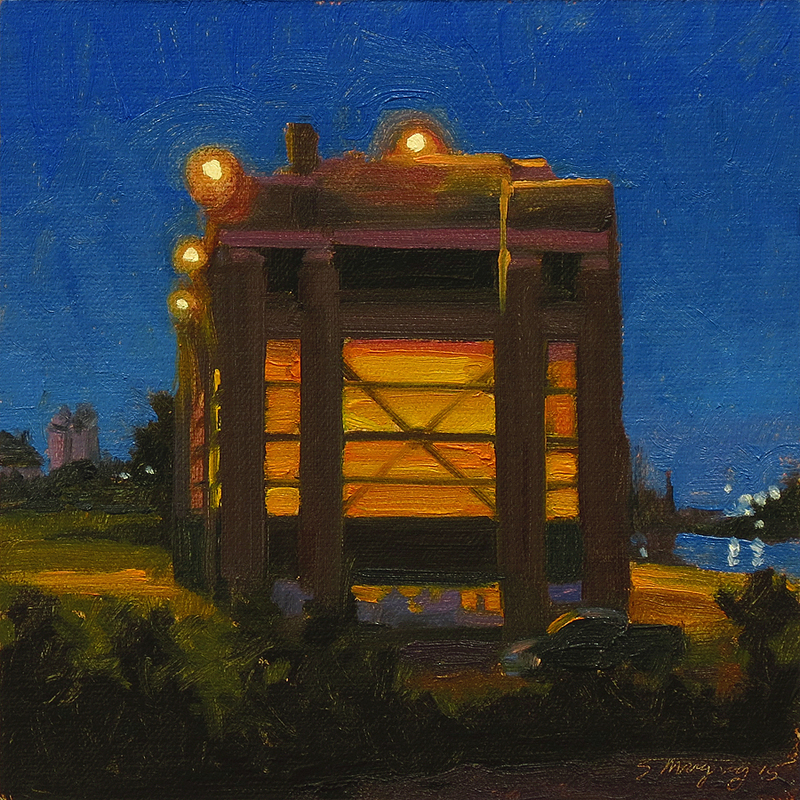 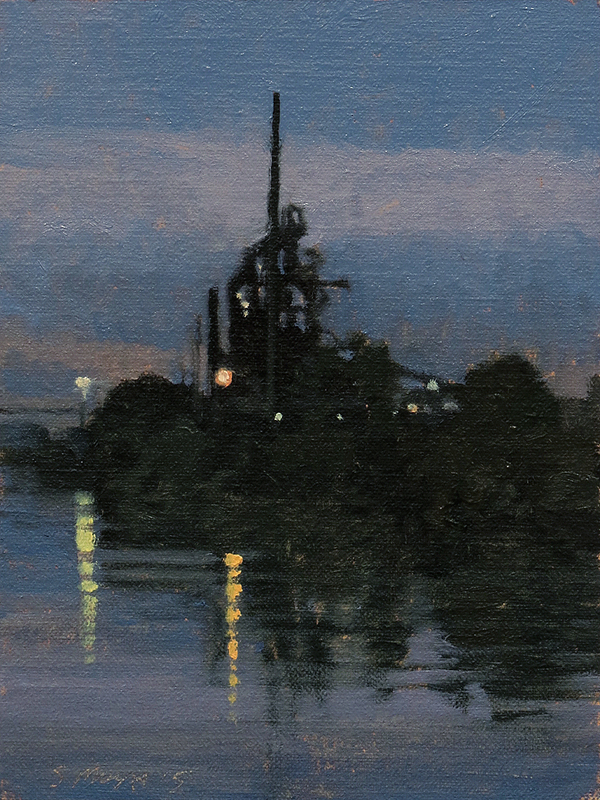 This nocturne painting is a view of the Great Lakes Steel complex on Zug Island reflected on the Rouge river. 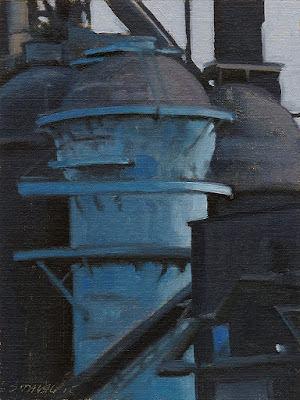 This industrial painting is a view of a section of a blast furnace at Great Lakes Steel complex on Zug Island along the Detroit river painted on a plein air panel, not the thick slotted panel. 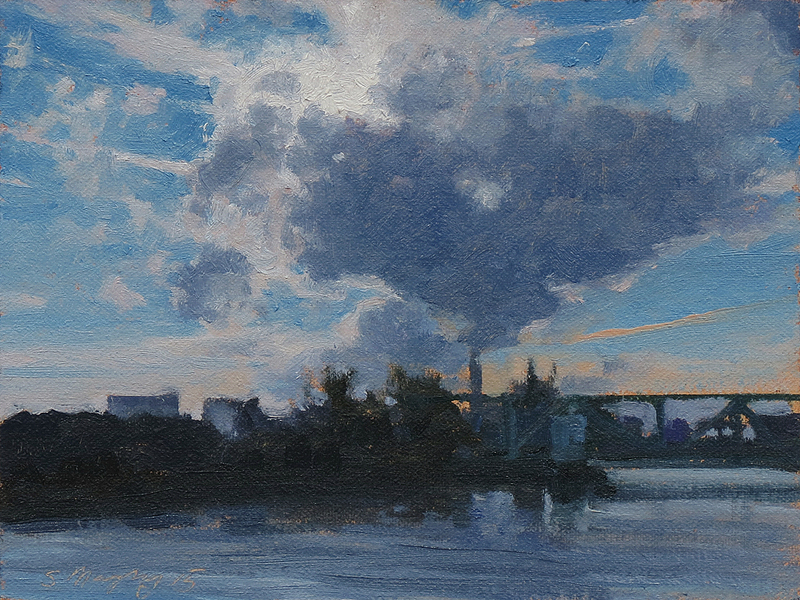 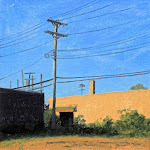 This industrial landscape painting is a view of a downriver power plant seen from Jefferson Ave near the Jefferson Ave bridge over the Rouge river. This is a study for a larger painting. 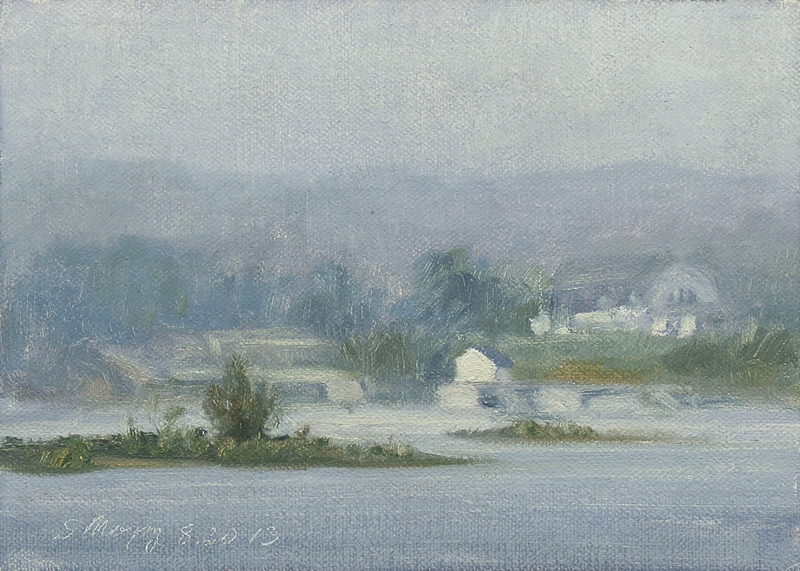 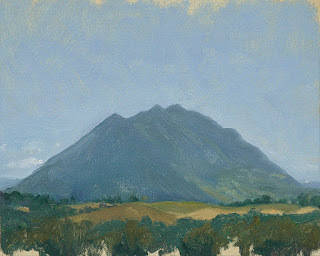 This painting is on a plein air panel, not the thick slotted panel. The 2015 painting is 8x16", signed and dated. This industrial painting is a view of a dramatic backlit cloud above Zug Island along the Detroit river painted on a plein air panel, not the thick slotted panel. 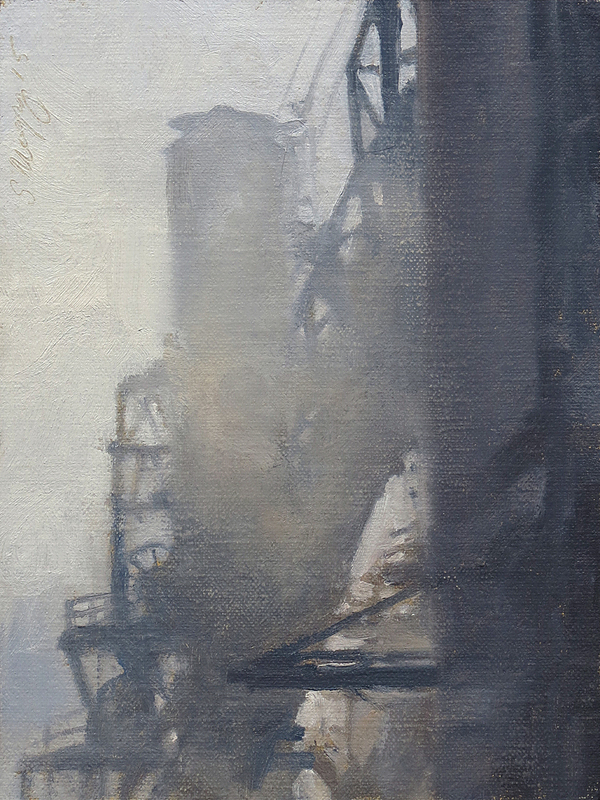 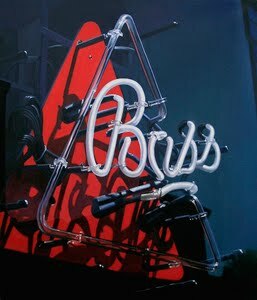 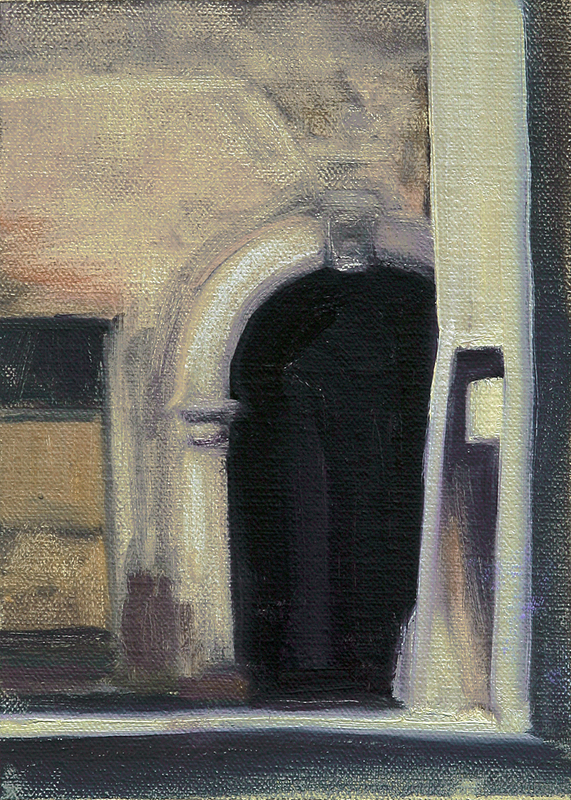 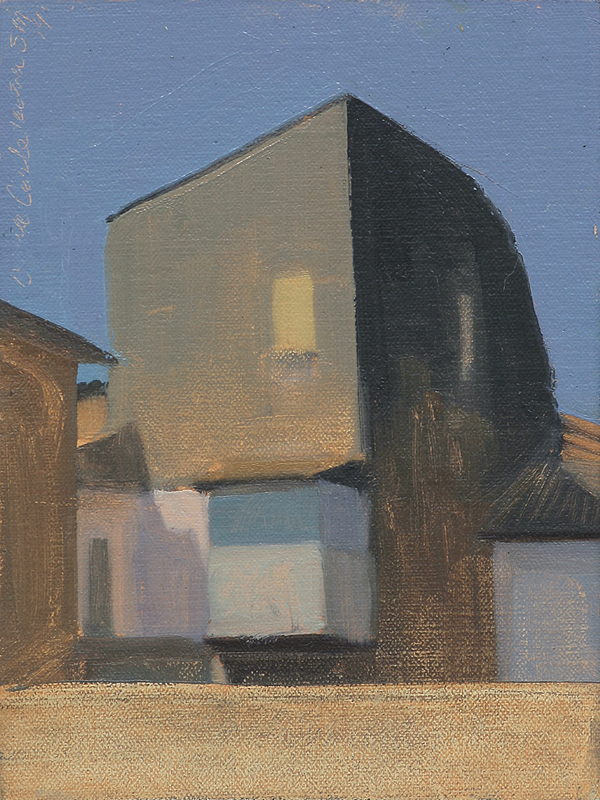 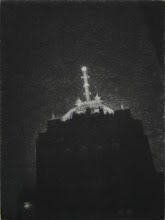 Three paintings added to December 20% Online Sale! 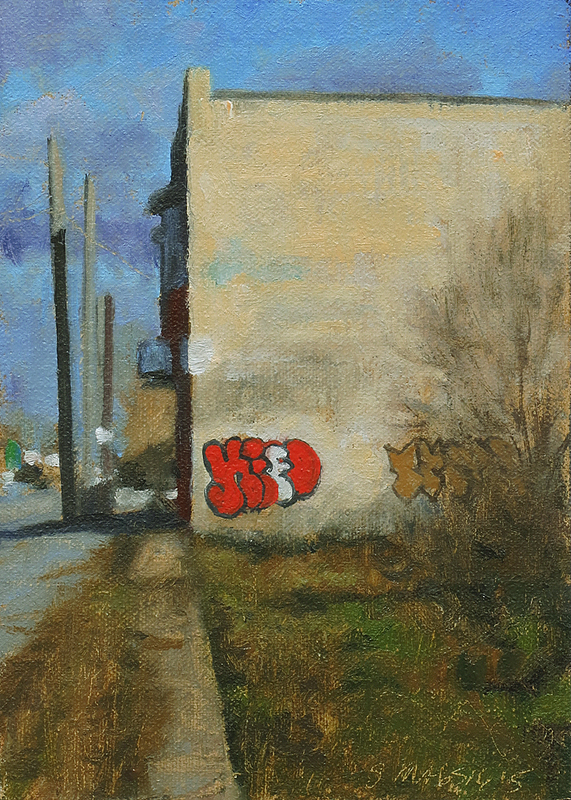 December Online Sale starts Today!